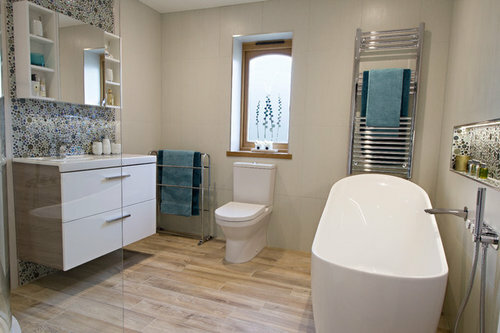 This project was a complete re-structure, interior design, procurement and project management for an en-suite bathroom. 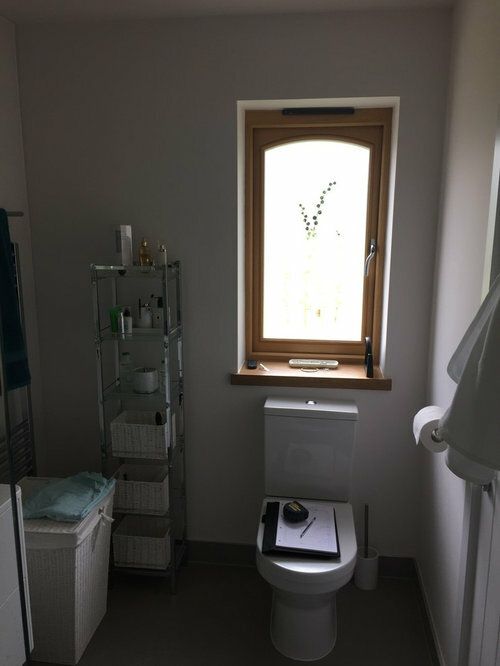 The brief was to enlarge the existing en-suite bathroom by relocating the walk-in wardrobes to cater for a larger en-suite & create a serene space in neutral colour palette with an accent colour creating a wow factor. 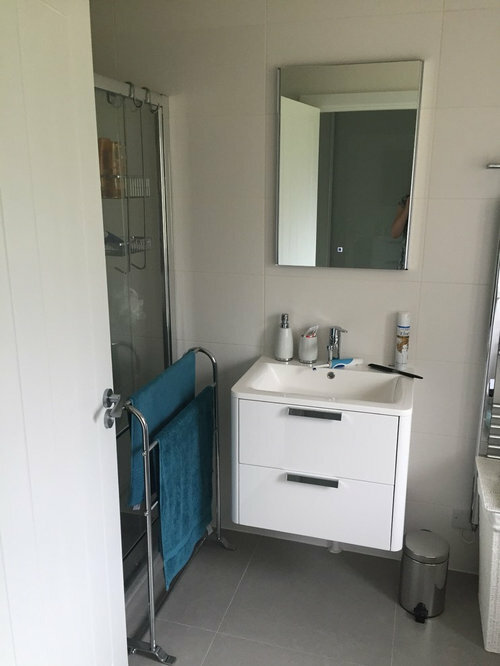 A combination of contrasting yet complimenting tiles were chosen, including a contemporary wood look tile to add the element of warmth and tranquillity to the space, creating the perfect place to relax & unwind. 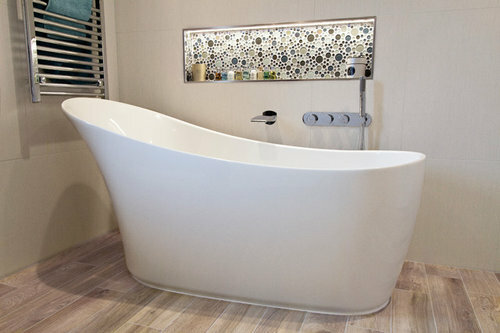 Great bathroom design! 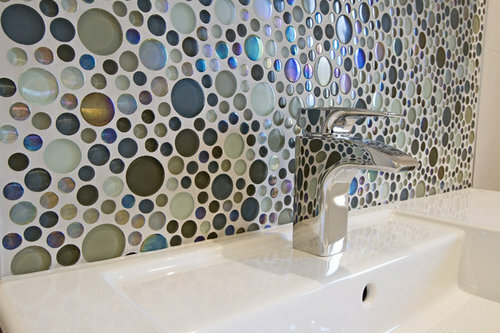 Love the mosaics around the basin and in the recess. 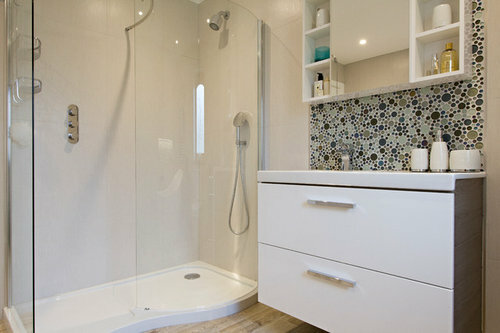 Thank you, love your use of them too;) They are fab tiles.